Once a year we get to say "thanks mum". Thanks for all the effort, the love, the sharing, the wiping up cuts and healing bruises, the hugs to stop the tears, the cooking and cleaning, the tolerance and dedication, the late night chats and sleepy morning. You want to give her a lovely day, but what to do, where to go? I have some great Melbourne suggestions for you. For over 10 years, mums and women alike have got together for the Mother's Day Classic fun run and walk. It has created a sense of community, some fun with your mum and a rewarding way to celebrate Mother's Day whilst raising funds for breast cancer research. There's nothing more heart warming than the pitter patter of little feet, arriving, faces beaming, laden with a tray of delights. Last year, I received a beautifully hacked up orange and a glass of water with a dandelion flower. But what's on the tray doesn't matter, it's what is in the heart. Even older children (adults) can delight mum in the same way by arriving early in the morning with a basket filled with treats. Anything mum doesn't have to make herself is a sure fire way to begin a lovely day. This one may sound simple, but all mums really just want to be remembered. If you are overseas, send a text, a phone call, a Facebook post, tell her something special that she means to you. One year I sat down and traced through my history and came up with so many tiny memories of mother. I popped a note of as many as I could remember in a card (eg. – thank you for that time I dropped my ice cream in the sand at Brighton and instead of yelling at me, you bought me another, it may have frustrated you, but I felt so much love from that). I bet you'll come up with things mum doesn't remember, but your memories of them will awaken a whole side of your past to her again. Funds tight? Relax, all this one costs you is some time and a piece of card/paper. Even if your mum has passed on, this is a really healing and reconnecting letter to write and send on in spirit. 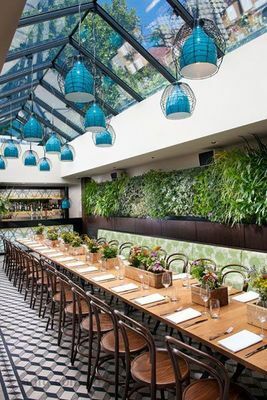 Beside South Yarra's beautiful Melbourne's Royal Botanic Gardens, you will discover The Botanical Dining Room. Celebrate with a 150 year old reputation in dining pleasures. Step back to the more formal, with dark solid oak features, chestnut leather chairs and contemporary artwork. They pride themselves on dishes being works of art, including red roasted barramundi with green dragon sauce and calamari shavings, or slow braised and wood-grilled Cape Grim short rib with assorted condiments. They also have a sommelier wine list to choose from. The Hilton Hotel Melbourne South Wharf is treating mum to a relaxed, refined riverside restaurant. Complete with a glass of bubbles on arrival and a long stem rose for Mum. Available on Mother's Day for lunch and dinner. Bookings are required. Take mum for a trip away from the city and into the beautiful Yarra Valley to the lovely Tokar estate.You will enjoy a lovely 3 course lunch with a glass of Tokar Estate "Joie de Vie" bubbly for Mum and Belgian Chocolates. They say every day is Mother's Day at Arabesque. On Mother's Day, they will be sharing a complimentary glass of New Zealand Lindauer & Strawberry bubbly or a Signature Arabesque home made Lemonade with Orange blossom. Arabesque is located in Elsternwick and the short journey there may well zip you across to the Middle East. Filled with lanterns, fezes and music, Arabesque delights with traditional Turkish, Moroccan and Middle Eastern menus. For the adventurous at heart, imagine treating mum to a scrumptious sit-down breakfast or buffet brunch at Melbourne Aquarium - all whilst being surrounded by the Coral Atoll exhibit. Imagine taking a meal whilst being surrounded by the beautiful back drop of tropical aquatic animals, stingrays and hundreds of colourful fish. 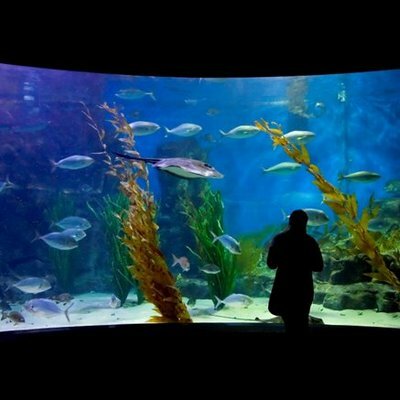 To add another aspect, there will be presentations from the marine experts and your meal includes all day entry into the entire aquarium. • sit-down gourmet breakfast, with buttermilk pancakes for the kids. • Freshly-baked Danish pastries, mini chocolate muffins, poached strawberries with toasted granola. • A glass of Australian bubbly. If your mum would love a sumptuous feast, treat her with the famous Grand Hyatt Sunday Brunch. To make it even more fun, there are interactive food stations. 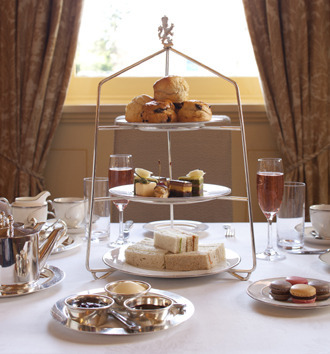 Or enjoy Mother's Day Afternoon Tea. Step back in time, to when high tea was a standing tradition in society and revisit elegance and refinement within the opulent surroundings of Collins Kitchen - Grand Hyatt Melbourne. Mother's Day afternoon tea includes many different selections, as well as specialty selections from the kitchen's patisserie. $65 per person including a glass of bubbly. $138 per person, including a glass of Chandon Rose. $72 per person, including a glass of Chandon Rose. Long renowned as one of the most famous hotels in Melbourne, high tea has been a tradition at the Windsor for decades and Mother's Day is an event to be shared. Their tea comes served on three-tiered silver stands, and just for mum is a wonderful Mother's Day dessert buffet resplendent with a chocolate fountain. Not just any old bubbly here, each guest will be presented with a glass of Louis Perdrier NV Rosé and every mother will receive a carnation. Just to honour mum, their pastry kitchen has also created a new delightful dessert just for this day. They advise: Délice de Mascarpone is a chocolate crumble with mascarpone mousse, roast figs, pear, honey and cinnamon served with a goat's cheese sorbet. As they are expecting large numbers, there will be multiple sittings throughout the day in the hotel's Grand Ballroom, 111 Spring Street restaurant and Bourke Room. From the adventurous, to the relaxed, the indulged, to the chilled out. I hope some of these suggestions may make your mum's day, just that little bit more special. Last year we had high tea for mothers day at home. It was really lovely, and affordable too. Going out for tea is special but was outside the budget, so we made scones, and sandwiches and bought some bite sized cakes and it was a delightful way to spend mothers day together with my parents and siblings. It was lovely to have home cooked scones and to be in the privacy of our own home to enjoy high tea. I'd highly recommend it. Some great ideas. Trying to get in early so this was helpful.